The most significant result of the Victorian state election from the Coalition’s perspective was evidenced in the two largest swings in the state – both against the National party. Morwell (-11.6%) retained by the Nationals’, and Shepparton (-28.4%), which was lost to Independent Suzanna Sheed. The question for the National party is not so much what they’re doing wrong, but rather, an examination of the path they’ve been setting themselves on for years. It’s become a common strategy for the Nationals to chase “name” candidates - more often than not a well-known footballer. Selecting celebrity candidates works to some degree at a retail-politics level, but it’s just not sustainable. It is certainly odd for sporting pursuits to be the favoured starting point for a political career and not incidental to it. The Nationals did not lose votes because they took unpopular stands on controversial issues. They lost support because they didn’t mark their stake in the ground. Even some of their own members, loyal and committed to “the cause”, are no longer certain that the Nationals represent anything much beyond re-election. There is a clear disconnect between the membership and their elected representatives. During the campaign, agriculture minister Peter Walsh – now the parliamentary leader - made a series of significant funding promise announcements in a major Victorian town, in a Nationals-held seat, where only seven grass roots members turned up. The National party claims they were taken by surprise by the short, sharp campaign by Shepparton Independent Suzanna Sheed. However it had probably been a long time in the making. For all the loyalty shown by local voters in supporting the Nationals candidate for the past 47 years, Shepparton’s social and economic fabric has changed. There are deepening issues with entrenched unemployment and the increasing impact of drug use and other social dysfunction. Gradually the foundations of a thriving regional town have corroded. Yet Shepparton is still a city reliant on agriculture. The retiring member in Shepparton, the Nationals’ Jeanette Powell, had been in parliament for 18 years, and was a minister in the outgoing government, yet she would seem to have been on the nose in recent times. The local perception was that she was amiable but ineffective. Much has been said about Barnaby Joyce’s explanation that the federal National party didn’t to fight to save SPC because “..people in that area voted for the Liberal party”. The screening of A Country Road: The Nationals, where he made the comment, during the election campaign was possibly not as useful as the National party thought it might be. In a one-newspaper town, the locals went to town on Barnaby. Although Joyce’s comments may well have been one of the fatal bullets, the fact is that the state National party held that seat by a massive margin of 25% and they were in government. They should have easily repelled any federal bullets. An enduring problem for the Nationals is a sense of ownership over an electorate. In the context of a three-cornered discussion, I remember the shock at first hearing the oft-repeated phrase “But it’s OUR seat”. The year was 2001 and the electorate was Indi. The problem was, the last time the Nats won that seat was 1975. Winning in a particular electorate appears to confer a proprietary right over that electorate ad infinitum as it did in Shepparton. Note that there is a difference between knowing they will win subsequent elections and feeling entitled to do so. This partially explains the Coalition agreement struck between Ted Baillieu and Peter Ryan, in which Liberals were excluded from fielding candidates in the 2010 and 2014 elections in seats previously held by the Nationals. This was an extraordinary departure from usual Coalition agreements that have allowed three-cornered contests where a sitting member of either party retires – a smart approach that maximises the Coalition vote. This folly of the Baillieu/Ryan agreement is evident not only in Shepparton but in the newly constituted Euroa. The Nationals protested that it was their seat and argued that the Liberals could not run a candidate as it contravened the Coalition agreement – a disputed point in a newly formed electorate. Had the Liberals not run a candidate and obviously preferenced the Nationals, it is unlikely the latter would have succeeded. Extrapolating results from previous elections and reading between the lines of Liberals in the know, the Nats were in trouble and a short three-month campaign by a well known local Liberal was needed to boost the Coalition beyond the Nationals 35% primary vote. 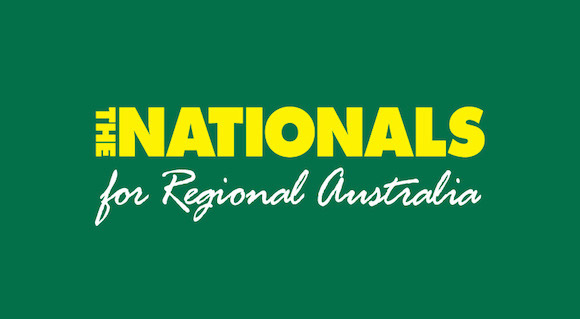 The Nationals leadership was possessed with the fear that they would lose Euroa to the Liberals. They threw all their resources including imported manpower into the seat whilst abandoning Shepparton. Arguably, the Liberal leadership did more to help the Nationals get over the line than they did themselves. An eight-month campaigning lead to the Nationals’ Steph Ryan and a heads-up on millions of dollars of local grants set up a playing field that heavily favoured the junior Coalition partner. Where to now for the National party? The identity crisis plaguing them is not new – their history is riddled with it. Having lost party status at this state election, they have a choice. They can build on their core ideals, grow and consolidate their base or they can try to shift ground and become a different party altogether. The desperate desire to survive will take the Nats down some experimental paths that will not sit well with their membership base. In the process they risk dissipating whatever good will is left in their brand. 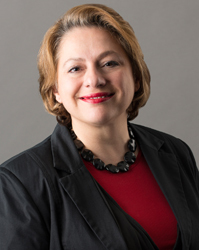 Sophie Mirabella is a Public Policy Fellow at the University of Melbourne. She was the Federal Liberal Member for Indi from 2001 – 2013.